In December 2018, Palatine Youth Baseball/Softball (PYB/S) and Palatine Baseball Association (PBA) merged to become one cohesive baseball program in Palatine called Palatine Community Baseball and Softball (PCBS), an affiliate of Palatine Park District. The group provides baseball and softball opportunities for ages 5 years through adults. This newly formed organization (formerly PYB/S & PBA), provides house baseball & softball, post-season travel teams, end of season all-star teams, and Palatine Travelers Baseball and Palatine Stingrays Softball for elite players ages 9 to 14. Training and development for players is offered through the PCBS Academy, and training is also offered for PCBS umpires. PCBS hosts the annual Casey Pohl Tournament for baseball players and the Stingray Showdown for softball. Registration for players is now open, with deadlines in March and May for the summer season and a Fall Ball deadline of August 1. Travel Team tryouts take place annually in late July/early August. PCBS is a 100% volunteer-led organization. Opportunities to support the program include board and committee positions, team sponsorships, and manager and coach volunteers for each team. In addition to these volunteer positions, PCBS offers employment opportunities for paid game umpires. There are umpiring opportunities for all levels of experience from beginners through IHSA “patched” umpires. Umpire training is provided and mandatory for new umpires beginning in February. Those interested in becoming a PCBS umpire must possess a general understanding of baseball and softball and be willing to gain a better understanding of the games. 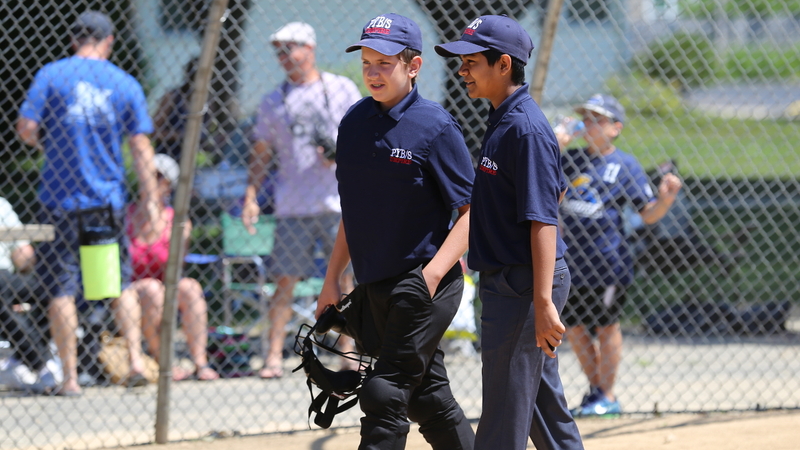 Umpires must turn 14 years old by May 1, and any individual under the age of 16 must be able to obtain a worker’s permit in order to umpire. Training begins the week of February 18 and concludes March 20. Games begin mid-April and run through mid-July. Pay rates are determined by experience and league level. For more information on umpiring opportunities, contact Dave Zimmer at pcbs_umpires@pcbs.fun or visit jobs.palatineparks.org. For more information about PCBS visit pcbs.fun. Registration can be completed online at register.palatineparks.org or in person at Birchwood Recreation Center, Community Center, and Falcon Park Recreation Center. The mission of PCBS is to provide a fun, competitive, safe environment for the community of Palatine to learn, play and enjoy baseball and softball while following their vision to develop a love of the game, one player at a time.